I LOVE movie trailers (and movies, of course!). Often times they are the deciding factor if I watch a movie or not. So this week I successfully made my first book trailer. And I have to admit that it was more fun than I thought it would be. It actually turned into quite the creative process. Although I’ve never been the most up on technology, a simple Google search on ‘how to make a book trailer’ led me to find out that my Mac already had the software on it to do everything I needed. So totally lucked out on that one. After that, it was a matter of finding the right public domain pictures, choosing the wording to go in each frame, and learning how to use the studio software. In the end, I’m very happy with the way it came out. I’ve seen a handful of book trailers over the last few years, and some are better than others. I based mine off of one that I saw recently (which inspired me to try and make my own). I really liked the feel of it, and how it was classy looking and not too cheesy. Below is my finished trailer for my young adult fantasy novel Horns & Halos: Against The Giant. Now I’m excited to see what else I can do for my other two published works: The Flames of Guilt and MACHINES. Get your copy of Horns & Halos: Against The Giant HERE! It’s available in paperback or on Kindle. And it’s FREE on Kindle Unlimited. 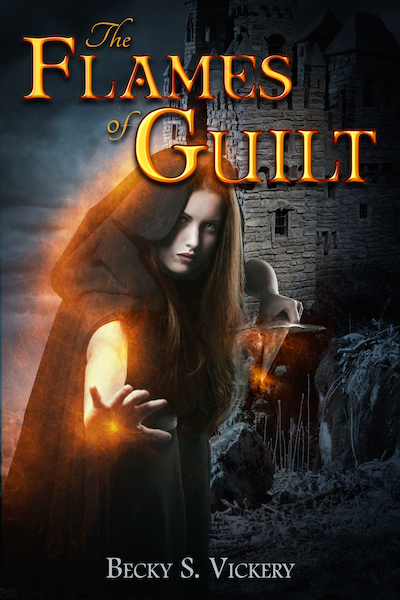 And here’s the one I made for my first novel The Flames of Guilt. You can pick up your copy HERE!